For some time he served as a doctor and zoologist at the Russian Embassy in China. In 1804 he was elected a corresponding member of the Russian Academy of Sciences, from 1805 to 1809 - adjunct in zoology, since 1814 - honorary member of the Russian Academy of Sciences. In his younger years, Adams participated in numerous long scientific expeditions. In the years 1800–1803 He, together with Count A.A. Musin-Pushkin traveled to the Caucasus to study his flora and entomofauna. He managed to describe 50 new species of plants and insects. For the collection of species of Caucasian fauna presented to her, Empress Maria Feodorovna bestowed a ring on Adams. In 1806, Adams, accompanied to China by the envoy Count Yu.A. Golovkina . The embassy was not allowed further Urgi, and Adams began research in Eastern Siberia. In Yakutsk, he learned about the discovery of a mammoth in the Lena Delta and went there to save the remains of a corpse. A description of this trip and its results was published in French in 1807. In 1820 it appeared in Russian in the Siberian Bulletin. In 1808, Adams mounted the skeleton and transferred it to the St. Petersburg Kunstkamera. It was the first such exhibit in the world. At one time, Adams hatched the idea of an expedition to the North Pole, but did not find support. Having stopped expeditionary activity, he taught at Moscow University, was a member of 5 European academies and scientific societies. He died in Vereya near Moscow. 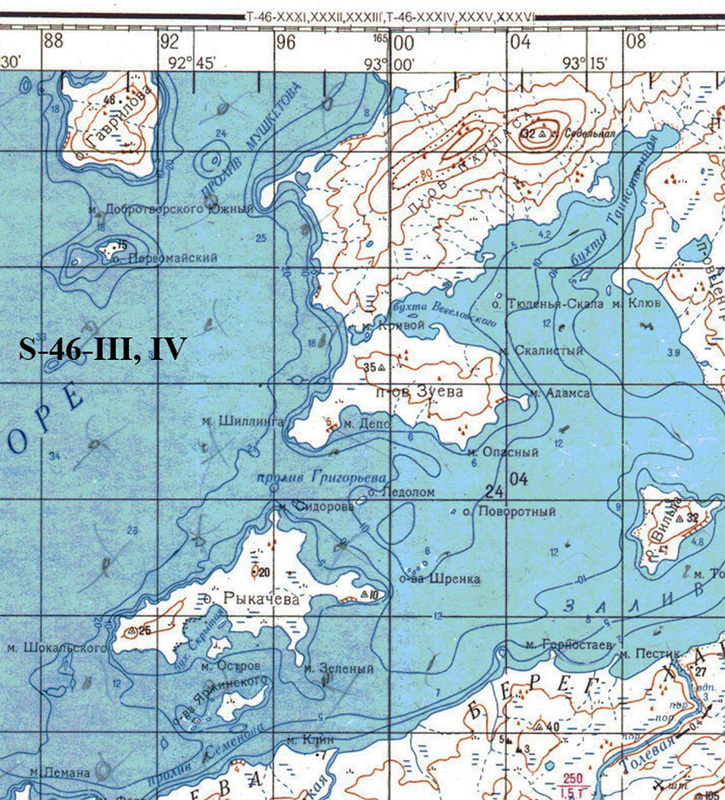 Cape in the Gulf of Middendorf on the coast of the Taimyr Peninsula (the coast of Khariton Laptev). It was named in 1900 by RPE.